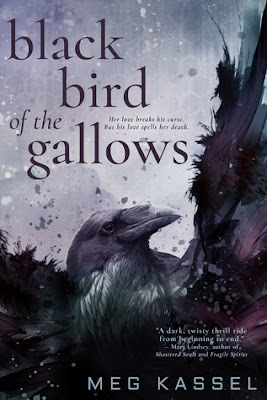 Readergirls are participating in a very cool Excerpt Tour for an upcoming YA paranormal novel. Love love love this cover! The synopsis sounds so good. Thanks for stopping by and we're thrilled to be a part of the Excerpt Reveal tour for Black Bird of the Gallows by Meg Kassel. always been creating stories, whether with visuals or words. She worked as a graphic designer before realizing the thing she did for pleasure (writing) was something she should do for real. 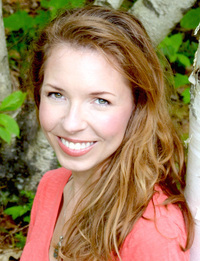 Meg is a New Jersey native who lives in a log house in the Maine woods with her husband and daughter. A fan of ’80s cartoons, Netflix series, and ancient mythology, Meg has always been fascinated and inspired by the fantastic, the creepy, and the futuristic. When she’s not writing, Meg is reading, hanging out with her family, hoarding peanut butter cups, or playing video games. She is a two-time finalist and the 2016 winner of the RWA Golden Heart© contest in YA. 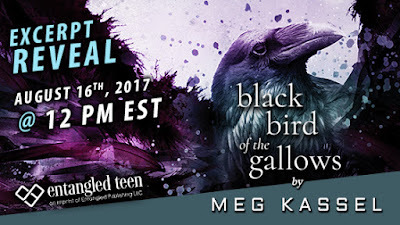 There is a tour-wide giveaway of two (2) hardcover copies of Black Bird of the Gallows, from Entangled TEEN.